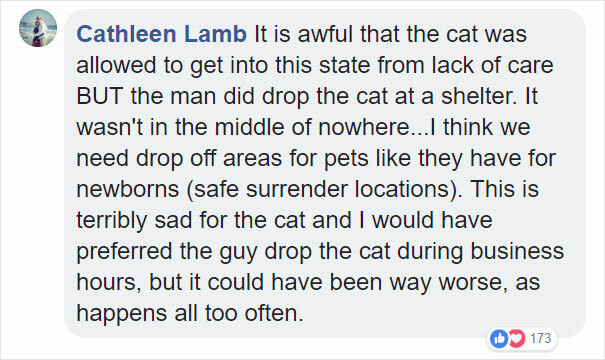 Sadly, the folks at Douglas County Animal Care & Services in Gardnerville, Nevada, are well accustomed to receiving anonymous animal dumping outside of regular work hours, but this one was even more heartbreaking than usual. On arrival at the shelter one morning, shelter supervisor Liz Begovich and her collegues came across an animal carrier, with a huge ball of unidentifiable fluff inside. “All we saw was a matted mess,” Liz told The Dodo. It was really bad. The cat was a prisoner of its own fur, barely able to move under the tangled, matted layers. 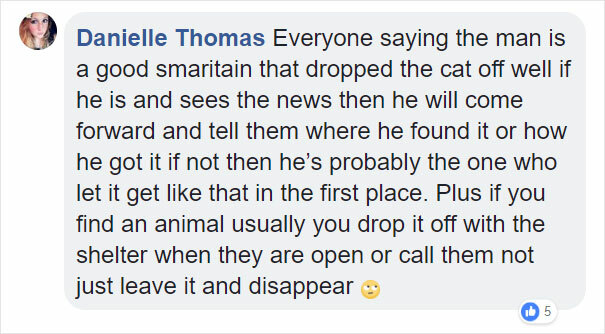 He was overweight due to lack of exercise, and whoever had owned him must presumably just brought food and water and put it right under his nose. Bob now has a loving home, who can help him recover from years of neglect, as well as shed all those excess pounds he is carrying around. At 10 years old he still has many good years ahead of him! He has turned out to be such a handsome devil, and was adopted within a few days. Either way, the truth will surely emerge eventually. The main thing is that Bob is happy, loved and free of his shackles. Scroll down below to check him out for yourself, and let us know what you think in the comments!